This little backyard bird can be beloved in urban areas, but has caused serious ecological problems since its introduction to America. European settlers, homesick for the familiar cheep cheep calls, often sent for or brought House Sparrows along on their voyage across the sea; both the human and the avian invaders thrived here by displacing the natives. 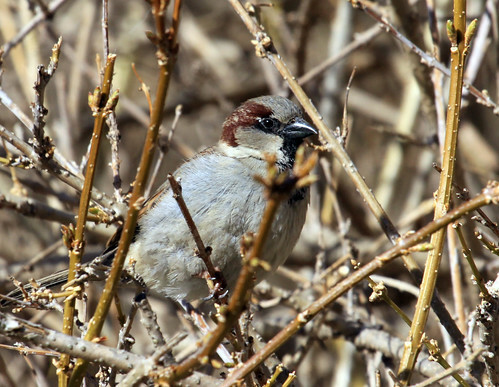 Having problems with House Sparrows? Check out some ways to solve the problem.